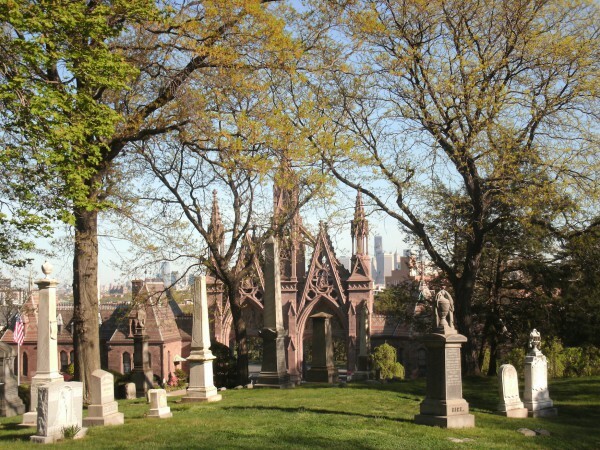 As a cemetery operating in New York State, Green-Wood is fully compliant with the regulations of the NYS Division of Cemeteries. In accordance with state law, these prices have been set and approved by the State Cemetery Board. All prices and availability are subject to change without notice. Services charges effective June 1st, 2018. Prices of crypts, lots, niches, urn sites, urns, annual care and perpetual care furnished upon application. This is a full list of every option available, and we post it here as required by law. Any one of Green-Wood’s memorial counselors will walk you through the possibilities so you can select what’s right for your family. Charges for Opening Graves, Vaults, etc. In accordance with New York State law, anyone wishing to make arrangements for cremation must work with a licensed funeral director and not directly with the cemetery. The funeral director can, in turn, make arrangements for a cremation at Green-Wood. Listed below are the state-approved fees for the cremation only. These costs are incorporated into the overall services funeral directors provide. Foundations for monuments shall be built to the full depth of the grave or its equivalent if rock conditions exist. * Includes $5.00 New York State Cemetery Vandalism and Abandoned Cemetery Property Fund. ** Actual cost of inscription not included. # Includes $35.00 New York State mandated contribution to the Permanent Maintenance Fund of the Cemetery.